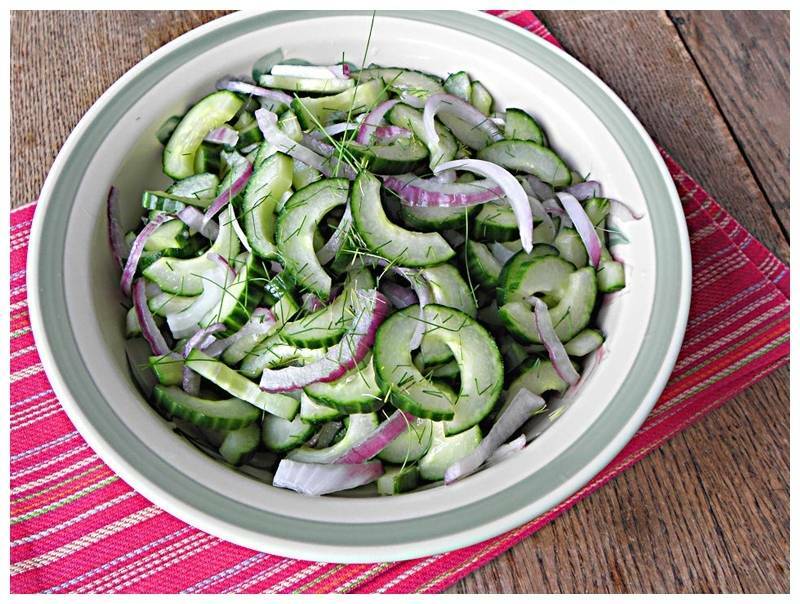 A cucumber dill salad in which Greensweet liquid stevia is processed. Cut the cucumbers in length and remove the seeds with a spoon. Cut equal pieces. Cut onion into thin rings. Place onion and cucumbers in a bowl and mix with salt. Place in a colander and let drain for 20 minutes. Moisture press out, rinse well with cold water. In a serving dish, whisk the white wine vinegar and Greensweet stevia into a sauce. Add the cucumbers and onion and stir well. Finish the salad with dill and lemon. Keep cool until it is ready to serve.